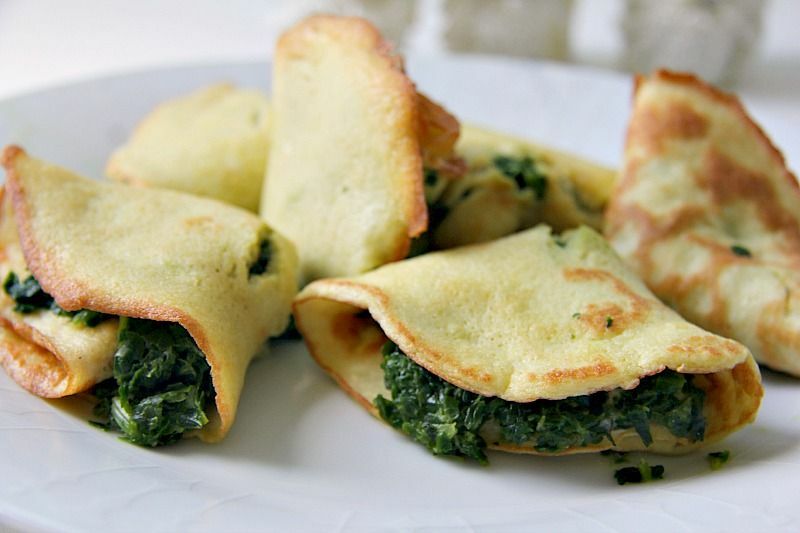 Delicious coconut flour crepes that make a great quick supper or dessert dish. 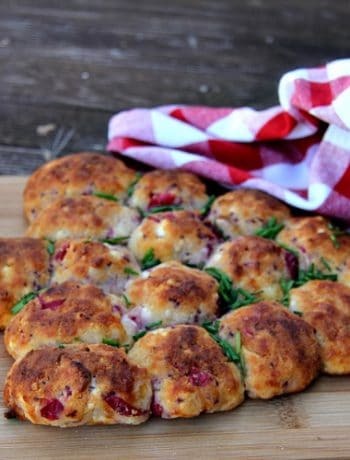 They can be filled or eaten simply with a dash of lemon over them. 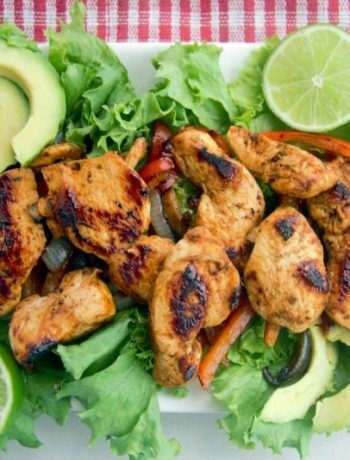 One of the great things about this recipe is that it is so easy and quick to make. It is very versatile and can be filled with either a sweet or savoury filling. I found that if you fill the crepe with a sweet filling that there is no need to add any additional sweetener to the crepe. That may be my taste buds though so add as you feel necessary. Perhaps a touch of cinnamon. 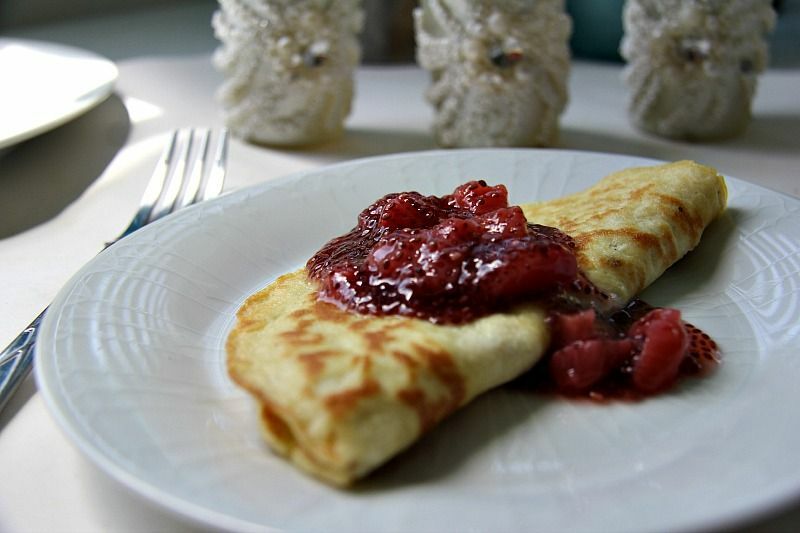 This is a second revision of a coconut flour crepe recipe that I had made many years ago. This is more simplest and I feel that the crepe is more pliable and the first one. Try them both and be the judge of the crepes. 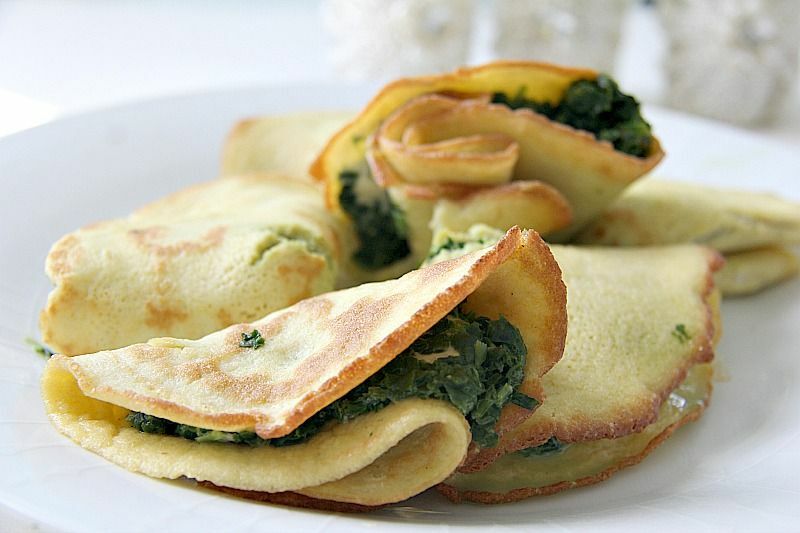 My favourite filling for a crepe is spinach, garlic and cheese. I switch between a strong Cheddar cheese or blue cheese. As I type I’m pausing to defrost some spinach so that I can have a batch later tonight. This won’t take long in our kitchen as the architect who designed our house seem to disregard the natural strong winds of the island and ensure that the kitchen faces the sun all day long. Windows open make no difference either. Don’t get me started unless you have a spare 30 minutes at least. 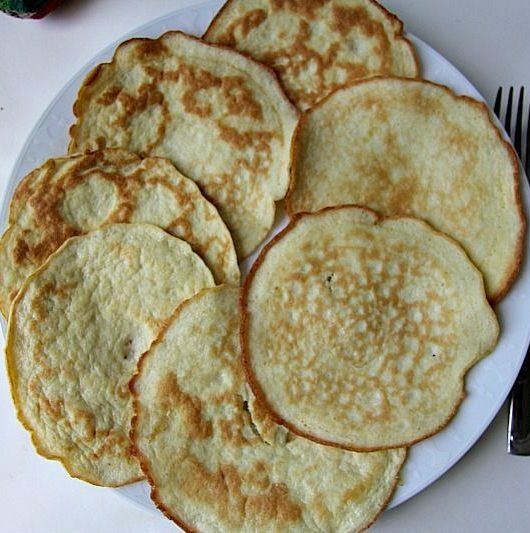 Despite being light to the touch and these coconut flour crepes may seem small these but are very filling. The Chief Taster over indulged as he looked at the size of them and declared that he would have four. “You’ll see”, I thought to myself as I plated them up. 30 minutes later he was laying on the sofa, groaning about how full he was. I have been baking with coconut flour for a few years now and he still has not quite grasped how filling it is. When will he learn! A classic case of eyes before stomach. Mind you I’m the same when chocolate cake or ice cream is placed in front of me, so I’m not one to judge. 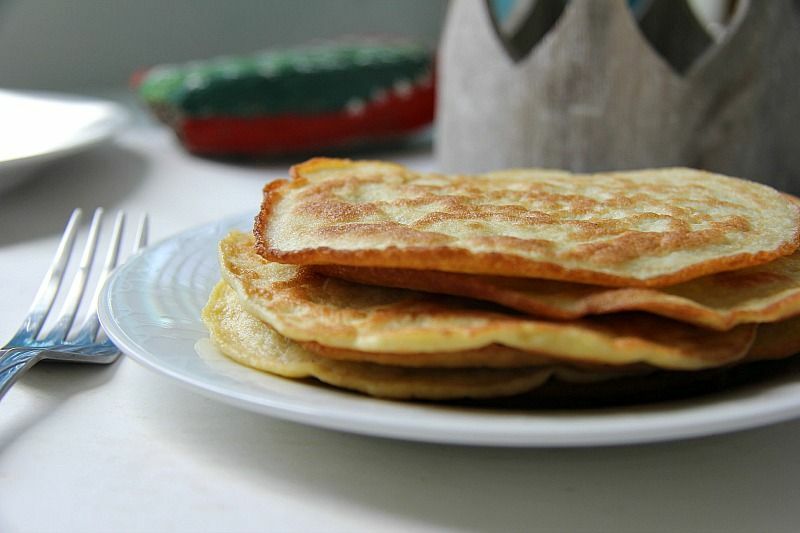 Whether you enjoy a savoury or sweet crepe, these low carb and gluten free coconut flour crepes are a great quick and easy option. Once you start making them, you will wonder why you have not served these before! Cook on one side for about 1-2 minutes until bubbles appear in the crepe, then flip over to cook for a further 1-2 minutes. Fill, smother or slather with cream. Eat and enjoy! I’ve used virgin olive oil when I’ve run out. 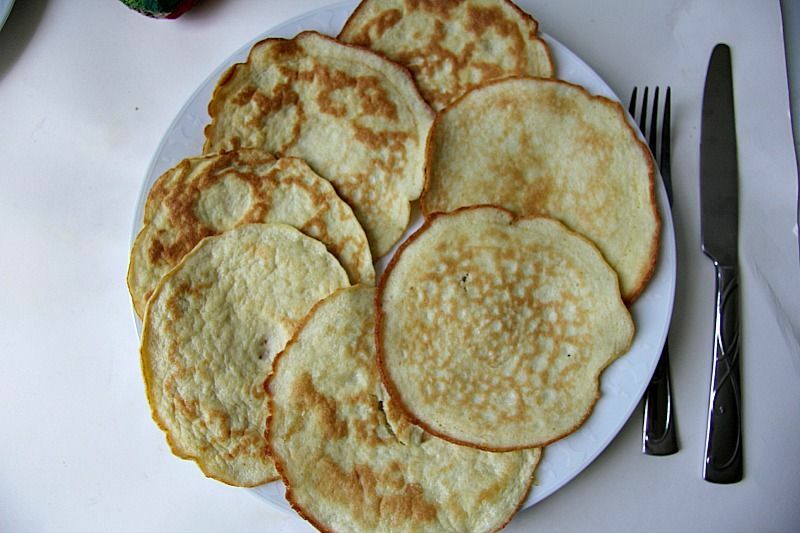 Can these crepes be made ahead and kept in the frig or freezer? Yes they can. I keep mine in the fridge.